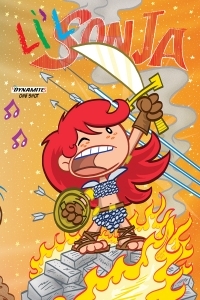 Conan/Red Sonja #4 is the perfect ending to what, in my opinion, was the perfect example of a inter-company crossover. For the past three issues, two of fantasy’s most popular characters have fought, loved, and been comrades in arms. Now, with the fate of the entire universe at stake, can even they protect it? 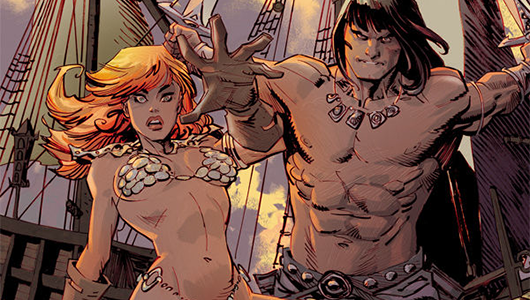 Writers Gail Simone and Jim Zub continue their excellent tale of Conan and Red Sonja. What I’ve loved most about this series, and this issue in particular, is that it was more of a team-up than a crossover, and that both characters get equal billing and “page-time.” Each has their share of story to carry and each has their own weight to pull when it comes to the overall adventure. This issue is a fitting end to the series. I won’t spoil the ending, but it’s perfect. Each and every week, I, “……. !” Henchman 21 and “Stop pretending to be Snake Eyes!” Empress Eve read a lot of comics. Seriously you guys, a lot of comics. Maybe too many comics. I mean, it is possible… theoretically. Naturally, we look forward to some more than others. I mean, who doesn’t? So, let’s take a look into the depths of our pull lists, grab some comics, and we’ll let YOU know what the top books to look forward to are for the week of August 13, 2014. Single issues and trades, they’re all here. Just like every comic can be someone’s first, every GoD List may be someone’s first, so let’s run down what the deal is. Every week, we give you a few titles we’re looking forward to or think you may be interested in buying. Then, you go to your local comic store or online retailer, buy something from this list, or maybe something else you’re interested in. We just want to get the word out that there are awesome comics on the stand every week. Sound good? Let’s waste no more time on explanations and get right into The GoD List! 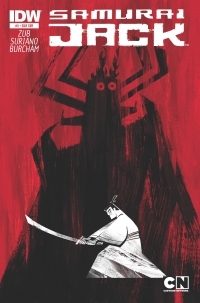 Our favorite time-traveling Samurai is back in Samurai Jack #5 with the epic conclusion of the story arc, Threads of Time. Samurai Jack was a groundbreaking cartoon on the Cartoon Network and continues its story in the comic book pages. The cartoon style artwork transitions well to the medium, so the look and feel of the TV show is well maintained. But as to the story…..? Our hero fails miserably. Every step on his journey leading up to this confrontation ends in a single frame. Picture the Firelord Ozai (from The Last Airbender) kicking Ang around until reaches the Avatar state, but ending the story there. 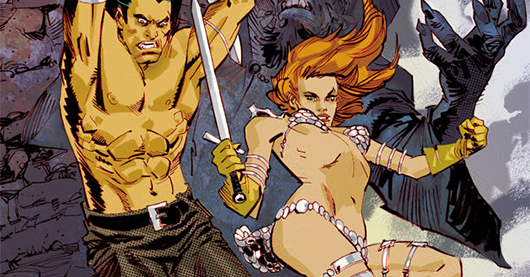 The current Skullkickers story arc has been in many ways a commentary on mainstream comics. 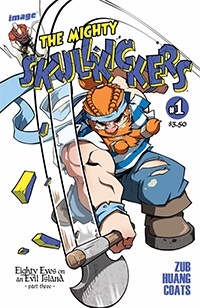 Although it may seem like I’m making a proverbial mountain out of a blood-soaked-talking-ape-heavy molehill, the team behind Skullkickers have done something that exposes the clearly visible cracks in the veneer that is modern comic publishing. When DC’s New 52 announcement came down the pipes, most of us thought the same thing, “this is lame, they are just trying to sell more comics.” Then we bought all of them, and a solid portion were terrible. It’s these marketing gimmicks that Jim Zub and the Skullkicker’s team are lampooning with their current story arc. However, when writing commentary into any story, sometimes a plot and solid characters are sacrificed in the name of sticking it to the man. Luckily, the appropriately titled The Mighty Skullkickers #1 delivers a one-two punch of gorgeous art and wit-drenched writing. 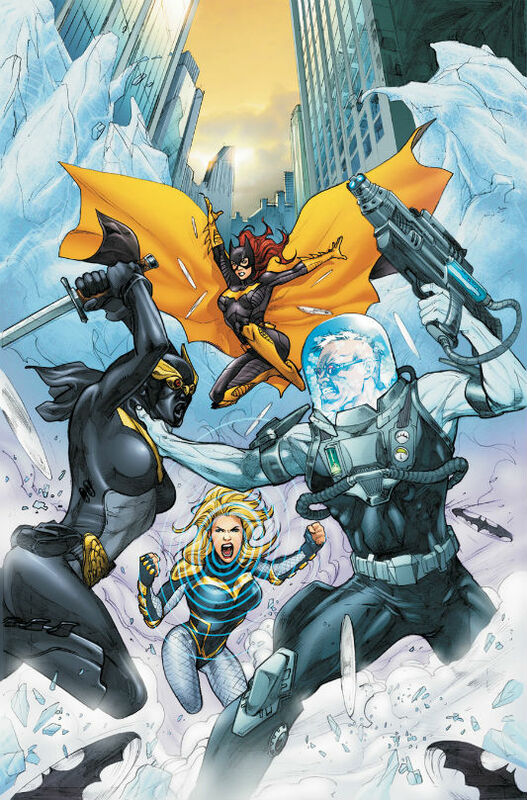 Comics writer Jim Zubkavich (Skullkickers, Pathfinder) announced today via his blog that he will not be writing DC’s Birds of Prey as planned. 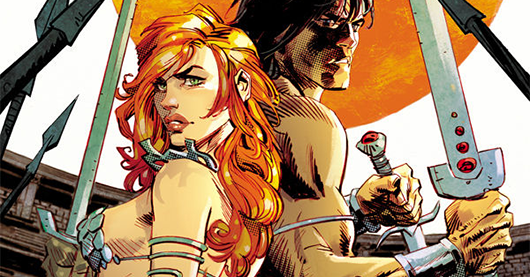 The writer, who usually just goes by the name Jim Zub, was scheduled to take over the book starting in March 2013. However, with DC’s comic solicitations set to hit this week, the news was going to come out when his name would be noticeably absent from solicitation text. Every holiday season, “He’s a mean one, Mr.” Henchman21 and “Cindy Lou” MK2Fac3 give a lot of comics. Seriously, you guys, a lot of comics. Maybe too many comics? I mean, it is possible.. theoretically. Naturally, they look forward to some gifts more than others. I mean, who doesn’t? So, let’s take a look into the depths of their Santa bags, grab some comics, and they’ll let YOU know what the top books to buy for this holiday season. Hardcovers and trades, they’re all here. What’s this? What’s this!? Hunter’s writing again. What’s this? He’s writing in a pair. What’s this, I can’t believe my eyes, I must be dreaming, wake up, Hench, this isn’t fair! What’s this!? What’s this? What’s this? There’s something very wrong. What’s this? There are people singing songs. What’s this? The streets are lined with little creatures laughing. Everybody seems so happy, have I possibly gone daffy? What is this? The GoD List. Holiday Edition.